You need a furnished apartment but have no plan on where to begin. Before you do anything you must have a basic idea of what you need. Ask yourself some questions: How big does it have to be? What locations are you looking at? When were you planning on moving in, and how long will you be staying? How much money are you prepared to spend? 1. Think of everything you want in a furnished apartment and write a wish-list. Furnished rentals vary; you can find lofts with exposed piping, or contemporary condos with killer kitchens. 2. Google some of your specifics, for example, search for long term, or short term furnished apartments and see what’s out there. Most of the time there is a one month minimum. 3. Check out different competitors’ websites and compare prices and sizes of the furnished apartments. 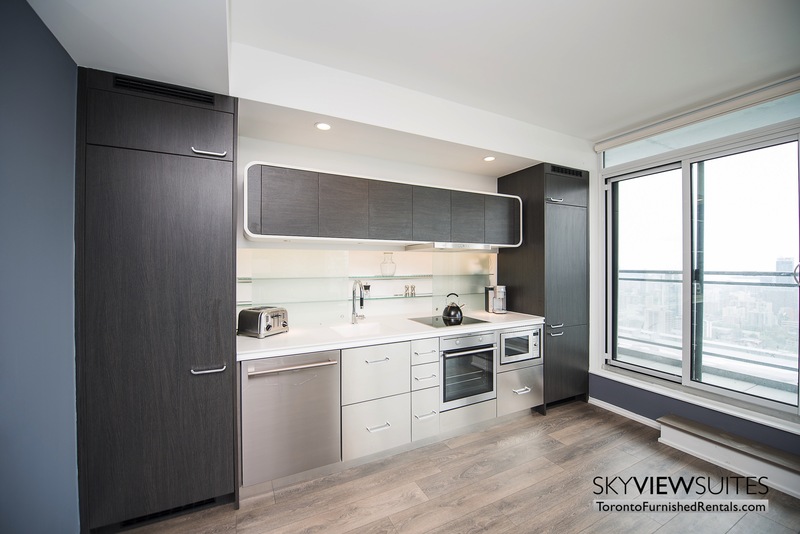 SkyViewSuites www.torontofurnishedrentals.com offers unbeatable value. 4. Another alternative would be to read your local newspaper. This is, if you are searching locally. 5. If you are travelling, you can also try Craigslist to see what’s available in other districts. If you do find something there, be cautious and make sure to have all the arrangements documented. 6. If you’re pressed for time, or would rather not research your options, ask a real estate agent. They may be able to refer you to someone who can help, or someplace to check out. 7. Set up appointments to view rental units, schedule multiples in the same day. Take the person you will be staying with if any, or a friend. 8. Ask questions about the ones you may be interested in, you want to know what is included with the rental. Utilities, house ware, and linens may or may not be incorporated. 9. Decide if you need parking or storage and inform the owner or property manager. Find out if there are any extra fees, or security deposits. The last thing you need is to be surprised and shocked upon leaving and having to pay added costs. 10. Look over the rental agreement and make sure there is nothing harmless in the fine print prior to signing. Confirm if there is a grace period just in case you need to cancel. Once these 10 Steps are completed, you are sure to have yourself a furnished apartment!